With familiar Michael Godard themes of martini glasses, flaming dice and a whimsical olive character, the Praying For Seven Wall Clock epitomizes the world-famous artist's Las Vegas style. Not only does it offer artwork inspired by Sin City, but this wall clock is illuminated with the warm glow of white and red neon just like the Vegas strip. 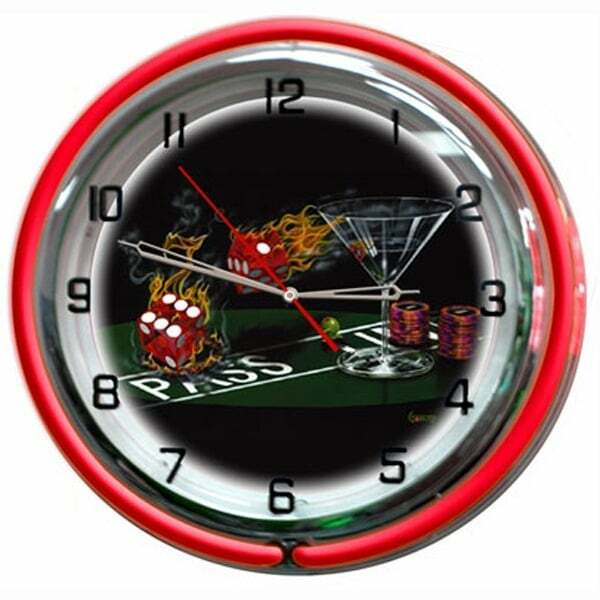 The perfect wall clock for any game room, basement or man cave with a pool table or game table!